We compiled and sequenced the best songs from the Beatles' inaugural solo projects to build the classic album that never was. The anniversary of the final Beatles session always leads one to imagine what the group might have produced had they stayed together and continued making music into the ‘70s. But the truth is, we kind of know already, since they had basically stopped collaborating on songs after 1967’s ground-breaking Sgt. Pepper’s Lonely Hearts Club Band. In fact, all that’s needed to compile the Beatles album that never happened is to follow a few simple rules: cherry pick songs that appeared on Lennon and McCartney’s immediate solo records, with one George Harrison song on each side, and one song credited to Ringo. Of course, we’re limited to songs written or recorded in the 1970ish period, when a follow-up to Abbey Road would have been the order of the day. So we are including some songs Harrison and McCartney recorded demos of for the Beatles but that were ultimately released as solo works. Also important is the song sequence, which we can only guess at but which is a hallmark of all Beatles albums from “Rubber Soul” onward. We also lose the benefit of having some of the weaker Beatles material transformed by the group environment. Think of “Come Together” without the menacing groove of McCartney’s bass riff—and that was despite Lennon essentially barring McCartney from any collaboration on Abbey Road. After a lot of thought, we’ve put together that very Beatles album—the one you never got to hear. We’ll call it What Is Life (a song title from Harrison’s 1970 triple album All Things Must Pass), which seems an album title all the Beatles could have agreed to. And it’s another concession to Harrison’s growing creative status. In addition to linking to the studio versions, when possible, we’ll mine the Paste archives for live versions of the songs. We’ve also included one exceptional cover from a band you would not expect to be so enthralled by things Beatleseque—but then, really, who isn’t? We’re cheating already. This song was released as a non-album single by Ringo in 1971, but it’s clearly a Harrison track. Harrison ended up giving all the songwriting credit to Starr in reality, so why wouldn’t he have done that here? Starr kicking off an album would have shocked the world, too. So would the quality of this song, as opposed to his prior, mostly jokey Beatles efforts. Recorded February 1970. Highest chart position: No. 4. Here’s Ringo with his All-Stars performing the song in 1997. The first single of McCartney’s solo career was written and previewed for the Let It Be sessions. Lennon would have resisted, in all likelihood. He famously blasted it in “How Do You Sleep” (“The only thing you done was ‘Yesterday,’ and since you’ve gone you’re just ‘Another Day’”). But Lennon lost all these battles before (“Ob La Di, Ob La Da”; “Maxwell’s Silver Hammer”), and this song is far superior to both of them. Even Lennon would have admitted that. Recorded January 1971. Highest chart position: No. 5. This Lennon classic was sort of a follow-up to “All You Need is Love,” which has the same chord progression. The ‘50s studio sound would have stood in stark contrast to the first two tracks on our album. It’s smart and cynical, yet somehow anthemic. Peaked at No. 3 on the charts. Released January 1970. The Beatles passed over this McCartney song twice—once on The White Album and then on Abbey Road. It’s a perfect, earthy and plaintive response to the broad call for man to take responsibility for his fate on “Instant Karma.” In his gentle acoustic sway, McCartney seems to be saying that our objects have meaning in the memories they’re a part of, yet we’re constantly seeking to replace them and with it, unknowingly, a piece of ourselves. Recorded February 1970. This song from John Lennon/Plastic Ono Band continues on the idea of nostalgia, which literally translates into “the painful desire to return home.” But then at the end, Lennon blows up the past, so it’s unclear if he wants us to find peace in our childhood memories or whether the dreams we had and that others had for us are a weight we must release. The staccato rhythm is like a clock ticking, relentlessly. Recorded Fall 1970. Despite peaking at just No. 10, this Harrison cut from All Things Must Pass is exactly the kind of song you imagine when someone talks about a hit record—so simple yet uplifting and life-affirming. Musically, it stands as an enduring testament to the Phil Spector Wall of Sound. It’s also the greatest riff Harrison ever wrote and arguably one of the best in rock history. Recorded in 1970 but written in 1969, this McCartney staple has earned a place in the Holy Trinity of genius McCartney pop-rock ballads, along with “Hey Jude” and “Let It Be.” But it’s much more simply a love song. Amazingly, it wasn’t released as a single and we can’t assume it would have been here. McCartney said in 2009 he wanted to be remembered for it. Here’s a fantastic cover by Ruby Starr and Black Oak Arkansas from 1976. This Harrison track from All Things Must Pass is very non-Beatlesesque in how it threatens to fall apart at any moment, with the horns and guitar overdubs too numerous to count. That makes sense, since Harrison wrote it about his displeasure with the Beatles in their final days. But there’s a thrill in hearing a song like this. It’s at the core of the Rolling Stones’ appeal, for example. Another classic Harrison riff, with another assist from Eric Clapton. 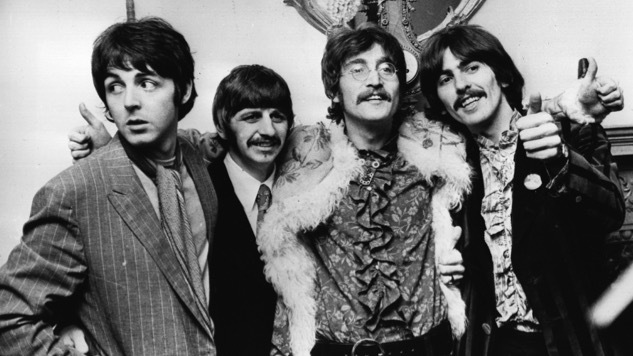 The lyric is a snipe at some of the petty business disputes that ripped The Beatles apart. Recorded Summer 1970. Here’s Lennon at his raw and aching best, a primal scream for relief from childhood pain that never leaves us. It was released as a single and actually peaked at No. 43, as a nearly four-minute festering wound. This song highlights Lennon’s amazing vocal ability. The two most underrated things about The Beatles are Lennon’s singing and McCartney’s bass playing. And Harrison, always Harrison. Check out this recording of Lennon knocking this vocal out of the park at Madison Square Garden in 1972 It would be Lennon’s last full-fledged performance, a little over two years after The Beatles’ last studio outing. Recorded Fall 1970. Harrison loved this spare guitar track from McCartney, for some reason. It’s okay. But we have to get some McCartney songs in here and this was not a fertile period for him. Not great, not even good, but not an album wrecker. Hey, not every Beatles album was perfect. Recorded December 1969. Lennon, post-therapy and post-drug addiction after the Beatles’ breakup, was peaking again after a pretty quiet year (for him). This stark, acoustic ode to the proletariat, which appeared on Plastic Ono Band was among his last great run of songs—and brimming with f-bombs. Recorded Fall 1970. A Beatles attempt at this song appears on the Anthology compilation release. In the context of this album, it’s a perfect response to Lennon’s “Mother.” Sequencing them back-to-back is perhaps too obvious. This is C-plus McCartney material, but it’s still McCartney, with that signature dancehall piano and subdued vocal. Recorded originally in 1969 with The Beatles. “God is a concept by which we measure our pain.” Talk about getting in the last word. Lennon will say it again, too, in case you missed it the first time. If this is the last Beatles album, its ending is as poignant as “The End,” from Abbey Road. “I was the Walrus, but now I’m John. And so dear friends, you’ll just have to carry on. The dream is over.” But there’s also the uplifting call to believe in yourself and in the love you’ve made. Another epic Lennon vocal, too. Recorded Fall 1970. A version of this article appeared previously on RockRemnants.com.